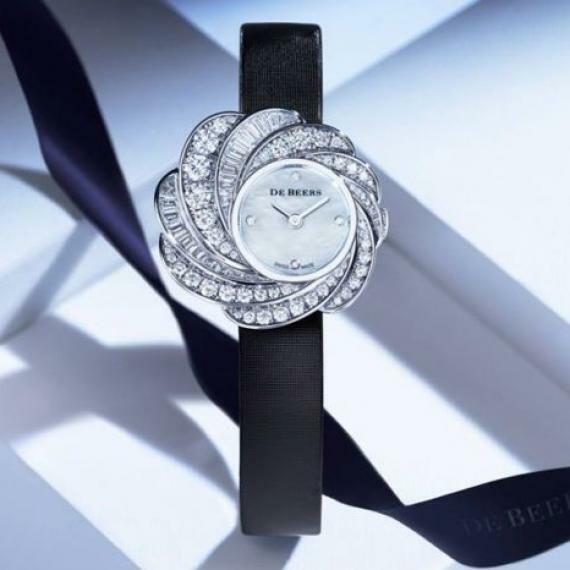 De Beers’ latest line of jewelry and watches captures the beauty of movement in the new Aria collection, released just in time for the holidays. Created by Head Designer, Hollie Bonneville Barden, Aria is inspired by the air from which its name is derived, and the motion captured within. “I was drawn to the movement of a swirling skirt in dance. Each Aria piece is a play with these expressive gestures. Radiating from the center diamond, the motif of the Aria Collection artfully traces the movement of an elegant dancer,” Barden explains. Aria’s 29mm Full Pavé Watch echoes the collection through diamond features radiating outward from the mother-of-pearl watch face. Set with 2.06 carats of brilliant, recut baguette diamonds, the delicate timepiece features a black crocodile strap and has just enough sparkle to make every day feel like the holidays.